Ponderings on life, culture and technology from a nordic perspective. Every month, I receive some tea from the lovely people of the Global Tea Hut. Finding this package of love in the mail is a highlight of the month. 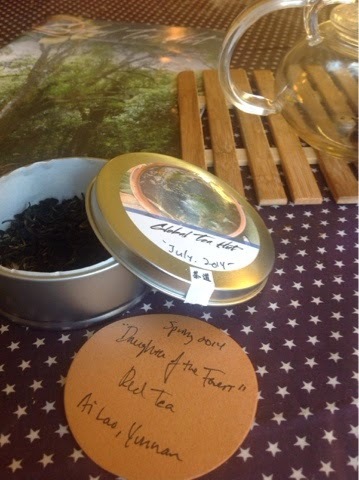 This month I received a lovely red tea with the beautiful name "Daughter of the Forest". What a special tea. A group of people from the community travelled to Yunnan, China and participated in the creation of this tea. The leaves were rolled by many different hands and in the end combined for the final tea blend. What a beautiful testament to the intent of Global Tea Hut, where people from all over the world share the same tea during the same month. If you enjoy tea, I highly recommend checking these people out. A lovely and welcoming community that I appreciate, even if I don't know the people personally. This particular day I didn't have anyone to share my tea with, any human at least. 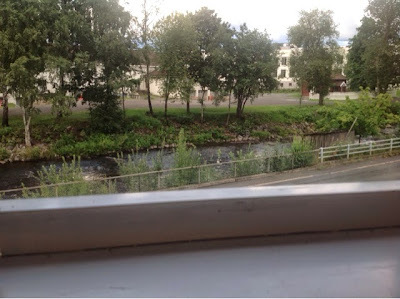 I am lucky to have a river as my closest neighbour, so I opened the windows and let the flowing river and trickles of rain be my tea companions. 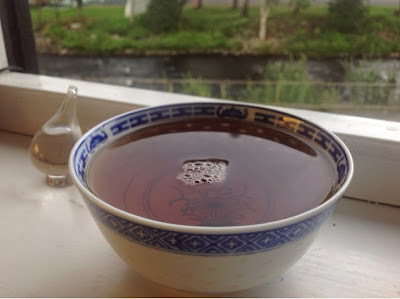 As this river ends up in the drinking water, there is a possibility that my humble bowl of tea included parts of the river. My tea could once have been the rain splashing down as thunder and lightening started filling the sky. I love how tea can instantly connect you to the nature that surrounds you. As I drank the tea, these thoughts made me look at my little droplet decoration that I once bought for a water charity. 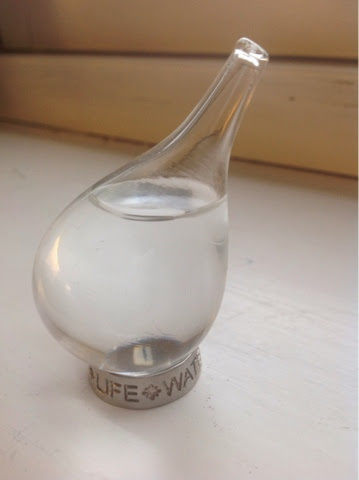 The glass droplet with water inside rests on a silvery ring with the inscription "Water~Life". Almost everything is connected through water. Life and water has a symbiotic relationship where life will cease to exist without water. Water is the seed to life(To be fair, energy, carbon and other things are too, but I am being poetic here!). Water is also the main ingredient in tea. I am so lucky to live in a place where the tap water is pure and better than the bottled water. Whenever I travel, water is what makes me miss home the most. When I get home from travels, the first thing I do is fill up a huge glass of water and chug down the most amazing drink this planet can offer. 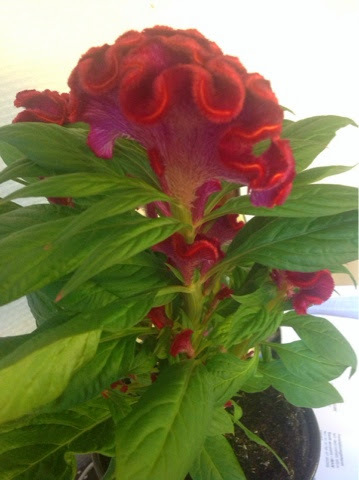 A strange little flowery companion. This one also likes water! Temabilder: sololos. Drevet av Blogger.